Shopping on the Rakuten.co.jp (楽天) store, you have several options for making payments online. 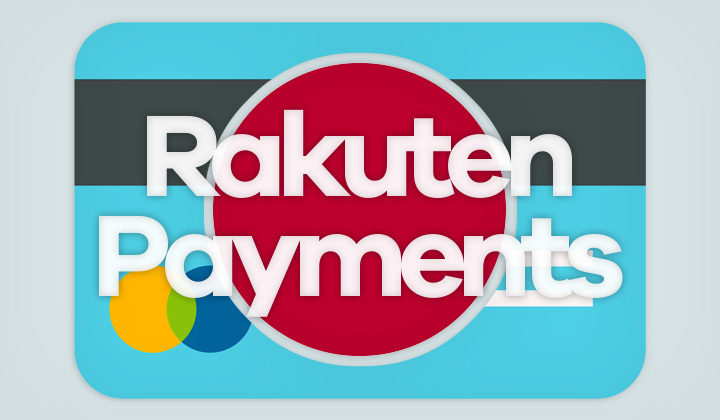 Here’s my guide to Rakuten payment methods in 2019. I’m not covering Rakuten Cards or Banking (Pay-easy) options, just the easiest methods for paying for your order when in or outside of Japan. You can find the official list of Rakuten.co.jp payment methods here. The support for various payment methods, as well as the rules for payments depends on the Rakuten seller, and what options they choose to provide. To find this information, check the bottom of any product page you want to order, and look for the link that says “会社概要” (company profile) and click on that. Sometimes the link is an image so you cannot search for it. Or there may be a separate link that says “詳しくはこちら” (click here for details). Payment details will be under “お支払について” (about payment). See an example here for the company profile page of an outdoor shop in Tokyo. The commonly supported credit cards are Visa, MasterCard, JCB, Diners (Diners Club International), and AMEX (American Express). This will vary though. Often foreign, non-Japanese credit cards do work, but support on Rakuten.co.jp is not guaranteed (you’ll find a guide on credit card payments here). When ordering, check the option “クレジットカード” (credit card) and fill in details. Not all sellers support convenience store payments but it’s very common. Especially 7-Eleven (see guide) is the most supported “konbini”. When ordering, check the option “コンビニ決済” (convenience store settlement). Once the order has been made, you’ll receive an email that contains a payment slip number that consists of 13 digits. Print this, or show the email with your smartphone at the register, pay for the goods and you’re order is processes automatically. Also in Japan, one of the easiest payment methods is to buy a “楽天ギフトカード” (Rakuten gift card) from the nearest convenience store, department store, supermarket, electric store, etc. You’ll find them from just about anywhere. Go to this page to redeem your Rakuten gift card. Simply enter your 10 digit gift card number in the input field, and the money will be immediately added to your Rakuten.co.jp account. During checkout, I suggest selecting 銀行振込 (bank transfer) as payment. Otherwise you’ll need to fill in your credit card details for nothing. Then, on the order page where you fill in your address and everything, look for “ポイント利用” (point use). Besides it, click on the blue “変更” (change) button and select the “全てのポイントを使う” (use all points) and save the selection with “更新” (update). When address is filled out, select the red “注文を確定する” (confirm order) button to finalize your order. You’ll get a couple of emails before items are sent. You can also choose to pay at your doorstep by selecting the “代金引換” (cash on delivery) option upon checkout. Again, not all sellers supports this. Naturally there will be an additional cost for this, which will vary depending on the courier firm used and the total price of the item. Starting from 324円/order. Nowadays, you can sometime see “Apple Pay” (see guide) as a payment option. Another possibility is PayPal, but I haven’t seen this much. So if you’re desired payment method is not available, you can basically check for other sellers with the same product and see if they are a better match. Any questions about payments on Rakuten Ichiba, or just about anything related to ordering, buying..? I’m happy to answer them below..! Thank you for your visit, and. Please, share if you found this useful. Tim. The reviews, guides and posts on this website may contain affiliate links which help to better the content and support the author and the cost of running the blog.